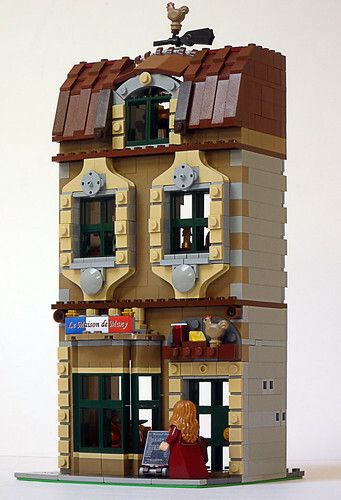 Brick Town Talk: Parisian Beauty - LEGO Town, Architecture, Building Tips, Inspiration Ideas, and more! Paris, France - (BTT) Le Maison de Many, with its intricate detailing on the front facade and iconic weather vane on the roof, features an interior that is as equally stunning. C'est magnifique!